With only ten minutes left of their crunch second leg game against Barcelona and trailing on aggregate by two goals, Pep looked at his bench. Sitting there was a player who could potentially turn the game, a baby faced assassin who seems to flourish in these big occasions. Mario Gotze knew his time had come so stripped off and prepared to enter the fray. Having the luxury to remove a player like Thomas Muller and replace him with Mario Gotze is a dream that only few coaches will ever experience. So deep is the pool of talent at Bayerns disposal that they can afford to leave out Gotze from the starting eleven is startling. But with the talent that Gotze has was it right of Guardiola to give him only four minutes or indeed leave him out of the starting line up all together? Whether or not Gotze starting the game would have had any effect on the overall outcome is unknown but arguably he offers slightly more to the side than others. But for one reason or another Pep has never really warmed to the little German. When Guardiola agreed to take over at Bayern he asked that they sign Neymar. 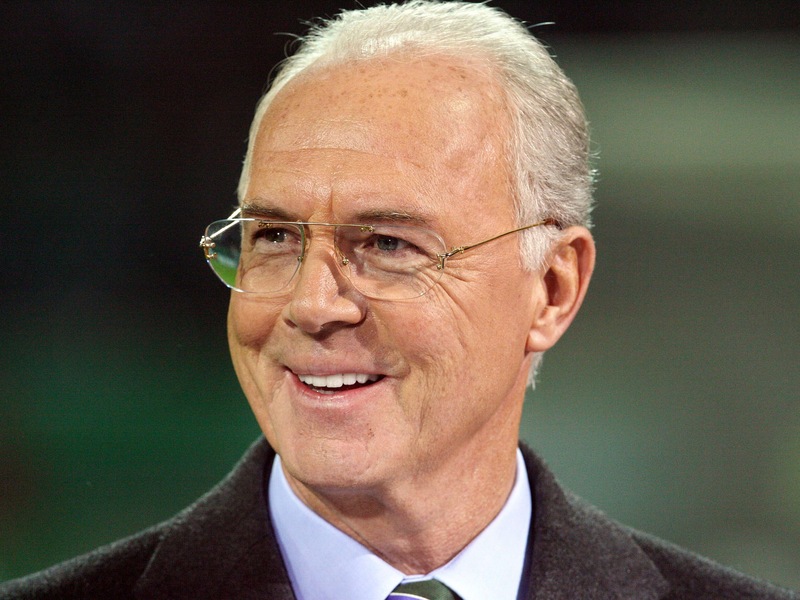 Instead he got Gotze as the board felt he was as good and had the added advantage of being German. In the end, Neymar joined Pep’s former club Barcelona whilst Gotze traveled across the country from Dortmund to Munich. It’s fair to assume that the relationship between the two has been on rocky ground for some time now. Gotze last year spoke publically about his frustration at the playing opportunities Guardiola had thrown his way that season. Gotze did manage to finish the season strongly and was selected for the Germany squad in a move that ended up securing them the World Cup thanks to his extra time goal. Returning to club football, Gotze must have believed that Guardiola would have been impressed by what he had achieved for his country but instead he found a manager who didn’t seem to care. Guardiola simply didn’t know what to do with Gotze. Talented yes but as a smaller player in a fairly tall squad where exactly would he fit? In a 4-3-2-1 formation, dropping Muller or Ribery/Robben from wide positions was not an option, nor was the prospect of leaving the towering Robert Lewandowski out in favour of Gotze. Sacrificing one of his central midfield three appeared to be the best bet but that would mean leaving out Thiago, Schweinsteiger or Xavi Alonso. Thiago, who played for Guardiola at Barcelona was a player who the coach specifically wanted and who the board delivered, unlike Neymar. Schweinsteiger is a legend for both club and country and his work rate for both is unheralded. So that only leaves Alonso. At 34, Xavi Alonso appears to have lost none of his tactical awareness of the game with the way he reads it and dictates the play a joy to watch. 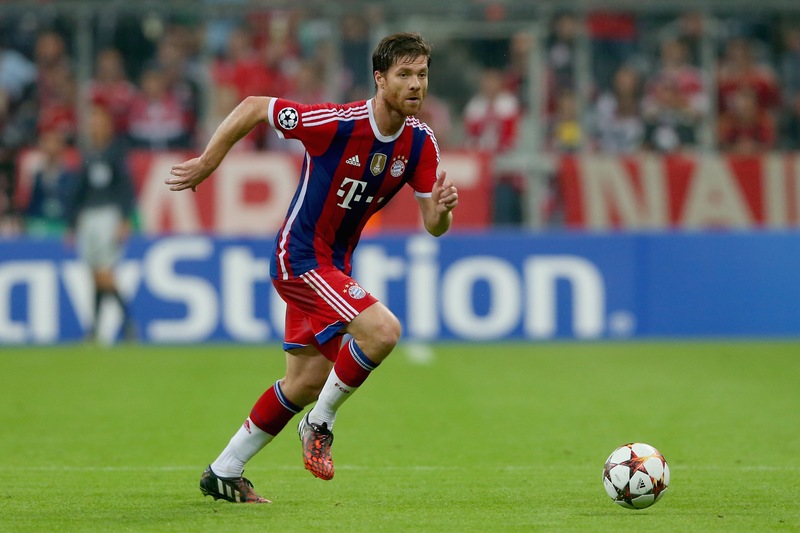 In a midfield crammed full of talent, Alonso still stands out as the player Guardiola can ill afford to drop. He is their calm through stormy weathers, with a passage range that most great players would be proud off. To say that Alonso keeps getting better season after season is not far from the mark although he has notably slowed over the past decade as time caught up with him. Dropping Alonso for Gotze would mean a change in format and a switch to a more uncomfortable approach. Gotze would be condemned once again to being rotation player only for Bayern. To be fair to Pep he has played Gotze more times this season than last. Gotze has made thirty appearances in the league, fourteen of which came from the bench. Injuries to key players like Schweinsteiger, Ribery and Thiago have indirectly handed Gotze a few more starts than usual but as a result Guardiola had to adapt his formation to suit. His preference it would appear is to have Gotze come from the bench, something the player isn’t too happy about. Guardiola doesn’t necessary not like the player, he simply can’t fit him into his preferred system. In fact when Gotze was heavily criticized recently by German legend Franz Beckenbauer for being lazy, it was Pep who jumped to his defence stating that Gotze was one of the best professionals he had ever worked with. He fell short of saying that he was an important member of his squad however, something that would have perhaps made Gotze feel slightly better about his role at the club. Where to play Gotze is the puzzling question. Coming off the bench appears to suit Gotze style of play. He is an impact player who can grab the goal that wins the game. Given that a quarter of Bayern’s league goals this season were scored in the last fifteen minutes of the game, it’s not hard to work out why Pep prefers it this way too. Whether Gotze sees it this way is a different matter. 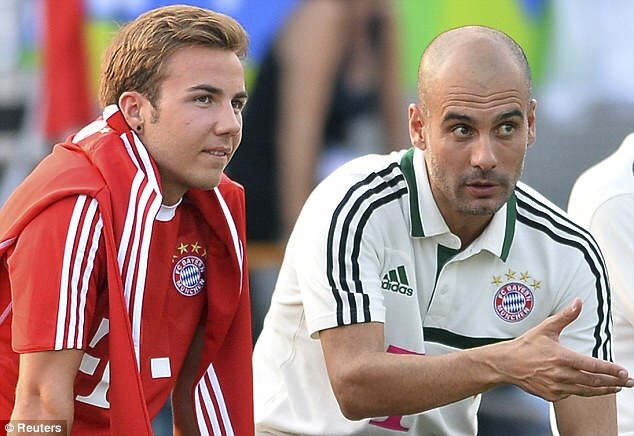 With Pep confirming that he will be in charge next season, Gotze has two options – stay and fight for a spot or leave. If he does decide to leave the list of potential suitors will be a long one with clubs in England, Spain and Italy more than willing to add the German to their ranks. Gotze will have to decide if staying in his native Germany is more important at this stage in his career than regular games. He could bide his time and wait for Guardiola to depart at the end of next season when his contract expires but the risks with that strategy are great. Bayern are happy with what Guardiola has done so far albeit missing out on the Champions League final was not ideal. However if he can steer them to Europe’s top club prize next season, a new contract may be offered by the Bayern board if it hasn’t been offered before then.